This week's topic is Video Game Character Redesign. Your mission is to redesign one of your favorite video game characters. Give him/her/it a dashing new look. The character can be whichever character you like, from a lowly goomba to Altair to a Big Daddy to GLaDOS. You can swap setting (Sci-fi link, anyone? swap styles (Realistic Sora?) swap roles (Evil Mario? ), everything swapable can be swapped. The only requirement is that you should be able to recognize the original one. This weeks focus is Character Design! Let's give these dudes and dudettes a real good overhaul! Make 'em all shiny and new. Oh?! What is this?! A prize?! Yes. Yes it is. The winner gets a Age of Empires Online beta token! One Two weeks. One challenge. Make your characters very proud. Last edited by Aksel; April 28th, 2011 at 12:15 AM. Oh. My. Lord... Time to brainstorm. Awesome topic! Question, are we allowed to cross franchises? 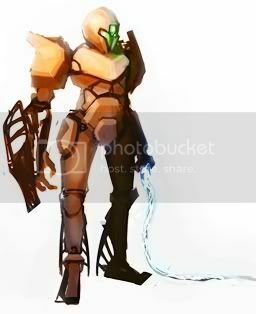 Master Chief as a reploid or Eggman as a heartless for example. Vertical it's not against the rules, so go ahead. My Sketchbook, feel free to drop by! I guess i'll start off the massive WIP posts. I first wanted to do shadow the hedgehog but had no idea how to do a realistic version of him. Then I tried queen Gohma and didn't like it. Then was gonna try Jak and Daxter, but decided o just go with pokemon ha. Bapsi has challenged me to this challenge, so looks like I will try to enter. Thinking of a Mega Man redesign...we'll see how sketching goes, may end up changing ideas. Attachment 1218974link redo with a portal gun, way cooler then a sword. i think i will make him more sifi to fit the theme more. tell me what you think? Last edited by colsky; April 26th, 2011 at 12:48 AM. 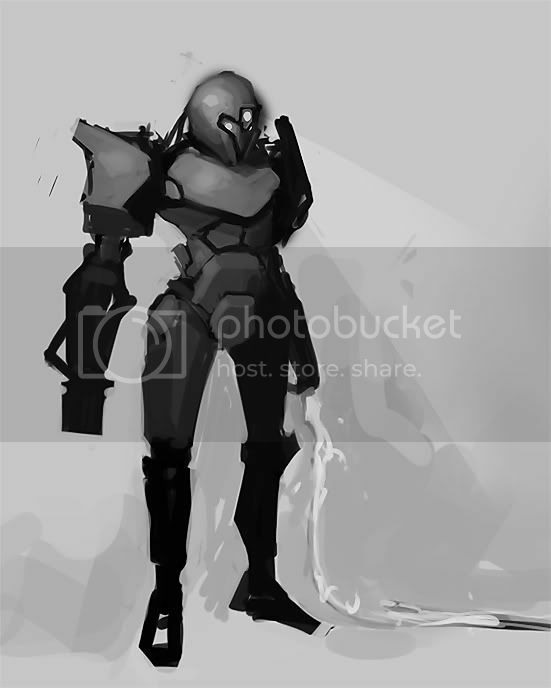 First sketch I scrapped, thought it was a bit boring and not the best of poses. Second one is very early, but I am liking it more already...who knows where I'll go from here. BRING IT ON BAPSI! andrew: nice start! i see youre paying more attention to edges now looks much better. lookin forward to your final. and i think ill join the challenge with you and bapsi if thats ok. rawr! Last edited by lancer_idenoure; April 26th, 2011 at 04:17 AM. Right, i have decided to redesign feybrand from the legend of the dragoon. My all time favorite dragon. The game was good in that dragons were not typical, they varied depending on the skill. This one was marsh and poison and was almost like half spider half dragon. Should be fun. For those of you who have not tried this game I reccomend you do. The story is fantastic. the fight style was intriguing, although turn based it was all about timing when pulling off attacks. Anyways, yeah so feybrand woo! I'm thinking of doing a ratchet and clank character, maybe captain quark? Nice start's so far by everyone! Last edited by jenny7332; April 26th, 2011 at 07:06 PM. Jenny: cool idea, but i'd reccomend changing the body to something realer and cooler, make her badass REDESIGN her!!! Last edited by ryan mcshane; April 26th, 2011 at 11:33 PM. I just wanted to draw something cute before getting into a mammoth thing, also- the theme is so broad I support Lancer_idenoure in extending the challenge, though that certainly wouldn't help my studies x_x. you might want to put in there. Btw, I Portal, but giving Link a Portal gun isn't really redesigning him at all, outfit wise or anything. 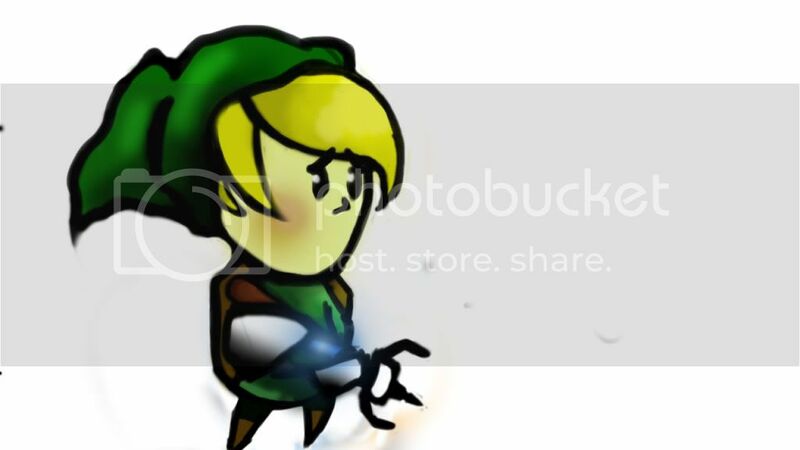 Think about everything you imagined Link could possibly be, maybe even fuse Link with Midna or something. Link as a crossdresser would be hilarious and also probably yield an interesting turn out. @ Andrew Sonea I like where it's going, the pose I think needs to be stronger, the first looks a bit feminine and wimpy with that liquidy feel. Maybe think about a stronger silhouette? And it will be known that I am kind. Deadline pushed, you get an extra week! droppin this real quick. nidoking! theres a few minor things to fix, like perspective things and im gonna make his tail drag on the ground, then straight to painting! 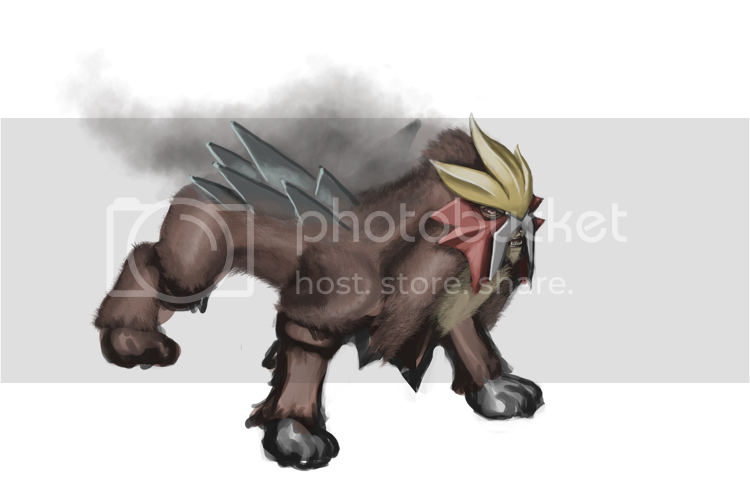 lancer_idenoure: You could always do a realistic Pokémon battle. Or make a mecha nidoking. The list goes on. transgendered mario in a morphsuit? chell with a chargeable portal gun? EDIT 2: woooooo. actually this is reminding me why i hate mech suit things. Last edited by ike_ike; April 29th, 2011 at 02:47 AM. Hi,i'm new to conceptart.org and these challenges. I would like to ask: Do we have to register to participate or can anyone join anytime? The Teen Challenge is open for anyone aged 13-19, a typical challenge lasts one week, sometimes longer (like this one). Anyone can join in at any time during the challenge (some people start the last day!) and are eligible to win as long as they post their final image in the finals thread. This is the challenge thread (or WIP thread) where people post their ideas and work in progress. Nearing the end of the challenge the finals thread will be created where people have to post their entries before the deadline. When the deadline is reached a voting thread will come up where everyone vote for their favorite entry. The winner receives a badge next to their username for their victory.